I have joined in with 1, 2, 3 Teach with Me for her 600 follower giveaway! You can win tons of great prizes, including my 2nd Grade Writing Prompt Collection. 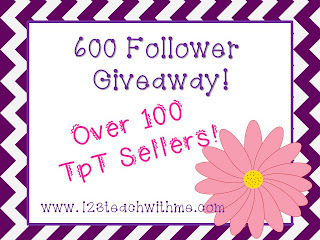 Hop on over to her blog to see all of the other prizes and then visit everyone's store.